2.7. on websites (on pages of websites and in applications) of Yandex Media Network (for the purposes of these rules, Yandex Media Network shall mean platforms listed at https://yandex.ru/support/direct/general/yan.xml) — the number of ads depends on website or application settings. 3.6. 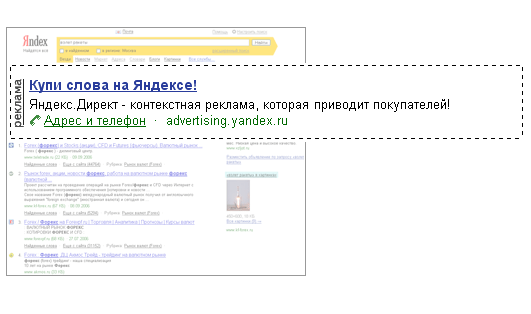 Selection of Ads for impression on the Advertising Spaces specified in 2.2 and 2.7 of these Rules shall be performed by Yandex automatically based on correlation between subjects of ads and the User’s interests, including basing on the data, provided by the Advertiser via “Audience” Service (https://audience.yandex.ru). By using the “Audience” Service the Advertiser undertakes to comply with the document “Audience: Terms of Service” placed on the Internet at https://yandex.kz/legal/audience_tos/. 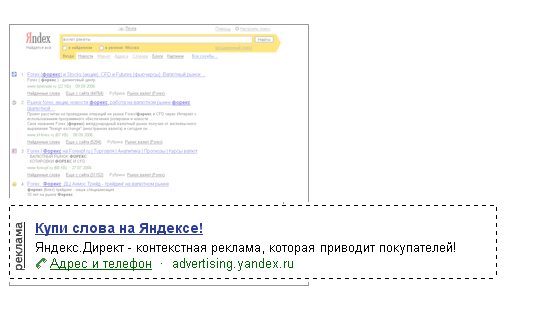 On the Advertising spaces specified in 2.2 and 2.7 of these Rules ads may be displayed containing the Advertiser's images (hereinafter referred to as the «Image») that should comply with the requirements available at https://yandex.kz/legal/direct_adv_rules/, except for the Image Ads not covered by the said functionality. According to the settings chosen by Ad network participant Impressions may be performed with displaying of the Images or without any Images. Yandex does not guarantee that the Impression will be performed with displaying of the Image. The Impression on the Advertising spaces specified in 2.2 and 2.7 of these Rules shall be deemed duly performed (in compliance with the Advertiser ads and specified by the Advertiser terms and conditions ads placing) irrespective of whether it contains the Image displayed thereon or not. 3.11.1. If the Cost per Click fixed by the advertiser is lower than the minimal Cost per Click applicable for search, Ad will be displayed only on advertising spaces listed in 2.2 and 2.7 of the Rules, and on the Advertising spaces listed in 2.5 of the Rules. The terms and conditions of this clause shall not apply to the Smart Banners. 3.17.3. 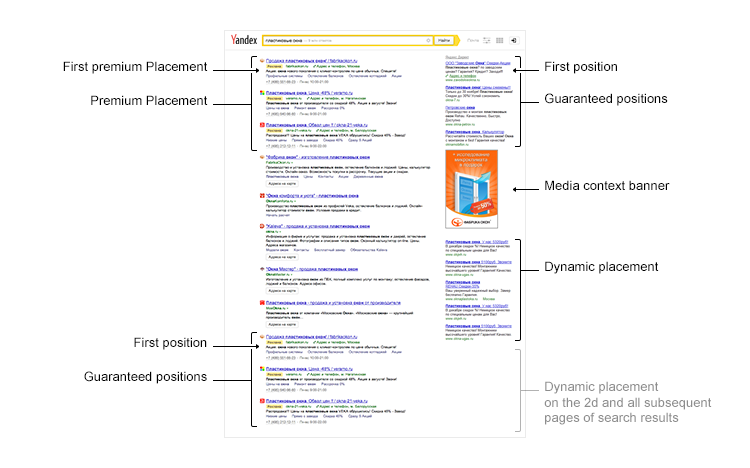 By choosing the functionality “Maintain average network CPC below average search CPC”, the Advertiser acknowledges and agrees that automatically adjusted Cost per Click would apply to all impressions of Ads within the Advertising campaigns, for which the Advertiser has chosen the above mentioned functionality, and on the Advertising spaces listed in 2.2 and 2.7 of these Rules. The Advertiser could cancel the above mentioned functionality via client web-interface or via API. 4.4.1. When applying the functionality “Maintain average network CPC below average search CPC” by the Advertiser, the Cost per Click is calculated for the key phrase within the Group of Ads automatically, taking into account the maximum Cost per click, set by Advertiser directly. In this case the automatically calculated Cost per Click for impression on Advertising spaces listed in 2.2 and 2.7 of these Rules, could be less than Cost per Click, deducted from the Advertiser for the impression on the Advertising spaces listed in 2.1, 2.3, 2.4 and 2.6 of these Rules. 5.15. Advertisements of microfinance organizations may contain the following tag: The organization's website is included in the State Register of Microfinance Organizations of the Central Bank of Russia ("Central Bank Register”) if the website referred to in such Advertisement is on the State Register of Microfinance Organizations of the Central Bank of Russia available at http://www.cbr.ru/finmarkets/files/supervision/mfo.txt. If the Advertiser believes that such tag is not applicable to the Advertisement, it should contact the support service through the feedback form at http://feedback2.yandex.ru/direct/. 5.16. When ads are displayed on the Advertising Spaces specified in cl. 2.2 and 2.7 of these Rules, the Advertiser can be invited to use the Video Extension function. The said function enables the Advertiser to add a standard video provided by Yandex or a video the Advertiser downloaded independently to its Ad. Videos the Advertiser downloaded independently shall meet the requirements stipulated in the General Rules of Creating Advertisements for Yandex Video Network available online at: https://yandex.ru/adv/requirements/videowebreq. An Ad with Video Extension enabled can be displayed with no quick URL links, images and other additional items. An Ad with a video provided by Yandex and already displayed to the User can be displayed to this User (according to Yandex) 1 month after any ad of another Advertiser with the same video was last displayed to this User. The Advertiser undertakes to check Ads with Video Extension enabled. As for such Ads, the Advertiser assumes all obligations and guarantees stipulated by the Offer. 5.17. The Advertiser agrees that neither Yandex nor any other third party transfers (assigns) the exclusive right to the Advertiser and grants, under a license, to the Advertiser the right to use results of intellectual activity (hereinafter referred to as the RIA) Yandex uses to render Services with Video Extension enabled. The Advertiser may not use such RIA out of the range of Ads unless the Advertiser and the relevant right holder of such RIA determined otherwise. Previous version of the document: https://yandex.kz/legal/direct_display_rules/03072017/. Previous version of the document: https://yandex.kz/legal/direct_display_rules/30062017/.